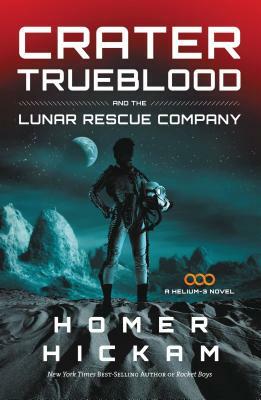 Crater Trueblood has to rescue his ex-girlfriend . . . and the entire human race. Maria Medaris is the 21-year-old matriarch of the most powerful family on the moon--gorgeous, powerful, and high-maintenance. When she is kidnapped by green-lipped, gene-splicing scientists, Maria's only hope turns out to be the very man she once spurned: Crater Trueblood. Crater and the Lunar Rescue Company must rescue Maria before she joins forces with the lunatics who have taken her hostage and aim to make her queen. Turns out more than Maria is at stake: the planet Earth, majestically rising over the lunar horizon, is in the crosshairs of an asteroid engineered by Maria's abductors. If Crater can't stop it, humanity on Earth will be destroyed. The fate of two worlds hangs in the balance . . . and the clock is ticking.